IE 10 is available for all now with amazing features. 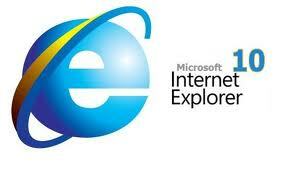 IE 10 is of course the latest future internet browser which has already appeared in Windows 8. IE 9 doesn’t include spell-checking. But because IE 10 will be the version of IE bundled with Windows 8, which will be optimized for touch input, spell checking is no longer taking a back seat. The people at MICROSOFT does know when to hit the market with their product. Though the product is not officially launched its developers preview is available for download, check it out and give your feedback.